Practicing a daily skincare regime is vital to the health and longevity of your skin. Learn which products and ingredients are important for your skin type and stop throwing money down the drain. Great makeup application starts with great skin. You absolutely have to wash your face every night before bed, no excuses! I like to use the Bareminerals deep cleansing foam to wash my face every morning and night because it’s a super concentrated formula that lasts me half a year since you only need a pea sized amount each time. When I remove my makeup at night I use Jojoba Oil from Trader Joe’s. Jojoba oil is naturally balancing and keeps blemishes away so I use a cotton swab and wipe all of my eye and face makeup off. After cleansing I use an eye cream. 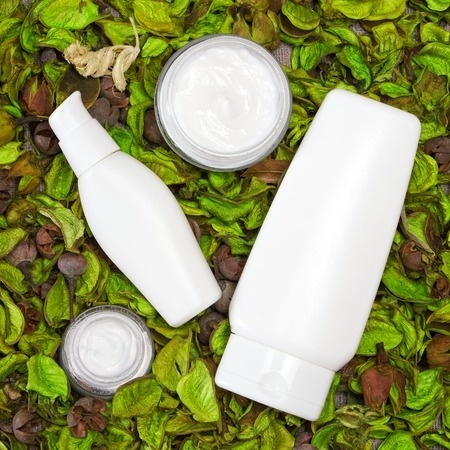 I would recommend experimenting with samples before you purchase and eye cream because eyes can be very sensitive and react easily to certain ingredients. Next I use a facial oil. I really love facial oils because they also last forever and usually cost less than face creams. My current favorite is the Laura Mercier ‘Flawless Skin’ Infusion de Rose Nourishing Oil for $62.00. they also have a cream from the same line than can be layered over the oil and is great for the winter months when your skin is more dry. I only use one drop of the face oil warmed in my palms and then pressed gently onto my face. You might be scared to use oil on your face because you have acne prone, oily, or combination skin but I strongly urge you to try it because it is such a great deal. I have tried many other face oils and some are too greasy but others are not moisturizing enough. Make sure you read the label and see which skin type the product is designed for. I have found that using a face oil actually has allowed me to skip a face serum. Serums tend to be very pricey and also run out quick so I usually will only try samples of them but never purchase a full-sized bottle. Please remember to always try samples of any product before purchase. Nordstrom, Macys, and Sephora will happily make samples of almost any product they carry for you to try before you buy. Two other important steps in my beauty routine are masks and exfoliation. I try to add these to my nightly routine once or twice a week. If you do either of these too often it could dry your skin out making fine lines and other issues more visible. I like to use a detoxifying mask for “all skin types” and an exfoliating scrub after I wash my face. Clinique carries both of these products and they aren’t pricey. Whole foods also has great skincare products and they don’t have any harsh ingredients in them. I love the “Alba Botanica Even Advanced Deep Sea Facial Mask” and use it every week. These are just some of my favorite products and not everyone is going to like the same thing so make sure you consult with a sales associate before purchasing any products to make sure the item will work with your skin type. I have found the people at Nordstrom, Sephora, and Whole Foods to be very knowledgeable on most of their products. Learn more about your skin type with this book! Glad our content is helpful! Thanks for spending time on the computer (wgtniir) so others don’t have to. No Problem Dalton! thanks for your interest in our blog! I am so happy to see you n internet and to read your views and toughts.Thanks for all of that.